We will never know for sure just how much abuse was perpetrated by Jimmy Savile at Broadmoor hospital - investigators are pretty sure the scale of it has been under-reported. But these investigations raise some really uncomfortable questions. Almost as shocking as Savile's behaviour is the finding that at Broadmoor there was "an organisational culture in the hospital that tolerated inappropriate sexual liaisons between staff and patients and strongly discouraged reporting." Today "inappropriate sexual liaisons" of this kind are often defined simply as abuse. So who else? And where? 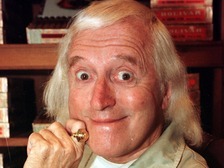 The worrying thing is that it seems it may have involved more people than just Jimmy Savile.